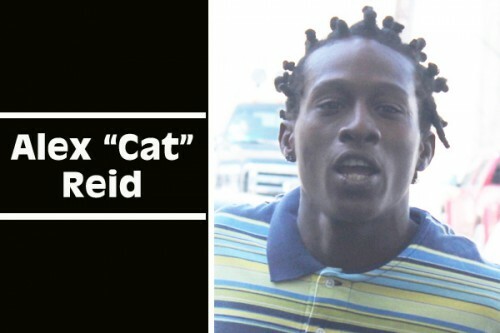 A Belize City man, Alex “Cat” Reid, 34, who has been in police custody for 7 days while they investigated his connection to a murder that occurred in Santana on Tuesday, May 20, was arraigned in the Magistrate’s Court this morning. Reid, a laborer and resident of Pine Street, has been in police custody as a person of interest in the police’s investigation into the murder of Santana resident Maurice Dennison Young, 69. Police detained Reid on Wednesday, May 21, the day after Young’s body was found. This morning Chief Magistrate Ann Marie Smith read the single count of murder to Reid, from whom no plea was required for the indictable offense. He was remanded to prison, from where he will begin the routine shuttling back-and-forth to court for the next few years, until his case comes up in the Supreme Court, if there is enough evidence after a preliminary inquiry is completed at the lower court. He returns to court on July 15. On Tuesday, May 20, Maurice Young’s body was found in a bushy area about 100 yards from his home. His decomposing body had obvious signs of violence on it and a post-mortem had to be performed on the spot, observed by shocked residents of the peaceful village of Santana. Speculation in the village, which lies off the old Northern Highway and in which there has not been a murder for decades, was that Young’s throat had been cut. Dr. Mario Estradabran, who performed the autopsy, concluded that Young died from a large cut wound to the neck. The report did not specify what part of the neck. Police investigators, moving swiftly, arrested Albert Reid, who once resided in the village, and who, reports say, has been frequently seen in the area in recent times. Investigators also discovered a knife, believed to be the murder weapon, and some other items that may be related to the murder.